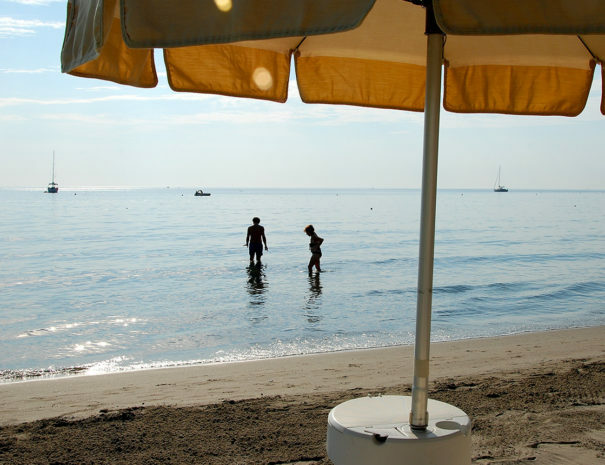 Laigueglia’s beach is few meters away from Hotel Aquilia: to reach it, you just need to cross the street. Inside the stretch of coast called Baia del Sole, it has white fine sand. 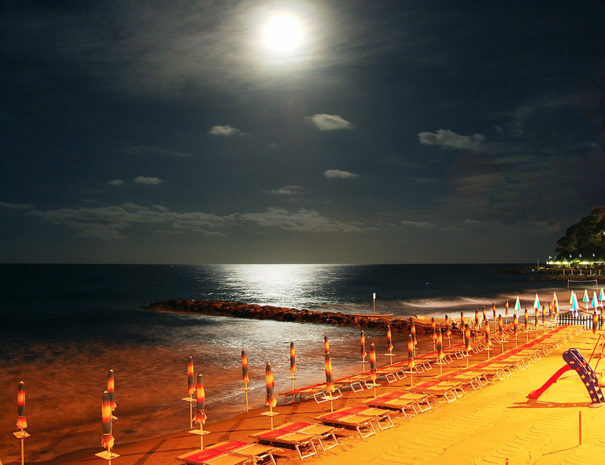 The sea becomes deeper gradually, what makes it the best place for water activities. The landscape is typical for Liguria where you can see marked contrasts. 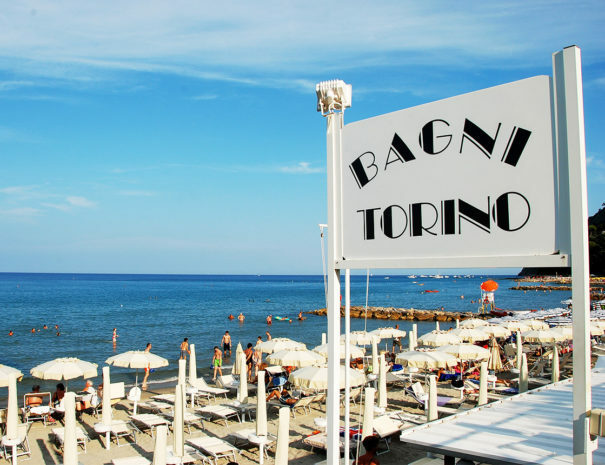 The weather is warm all the year so that you can enjoy sea bathing from March to November. You can go along the waterfront on a very nice walk that runs alongside Aurelia State Road. It is a place full of touristic attractions and bars in its small streets and squares. It is ideal for those people, who are in search both for relax and physical exercise. To meet our guests’ requirements, Hotel Aquilia Laigueglia 3 stars has an agreement with the bathhouse “Bagni Torino”: Monica, the owner, will offer you special services and prices such as beach beds, umbrellas, small restaurant, toilette, changing rooms in addition to areas for sport activities as pilates classes, canoe or shiatsu. 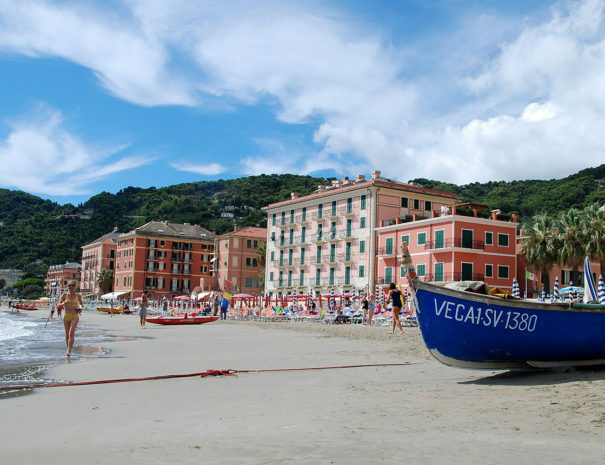 Whether you are in search for relax or physical activity, we are sure, you’ll find here all the necessary to enjoy at best your vacation in Laigueglia.